Here is the perfect side dish for your next cookout. As I’ve shared before this month (and I’ll share again! 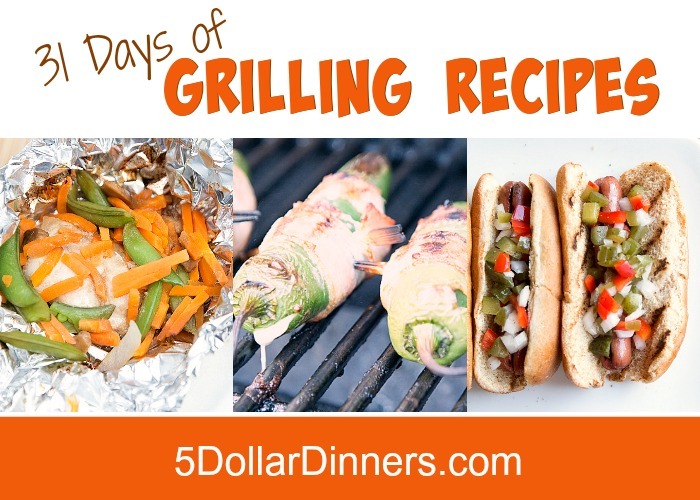 ), I love when you can make an entire meal out on the grill…main dish, side dish, bread and even dessert. Yesterday was a “feels like 107” degrees kind of day, loaded with humidity too. So the very last thing I want to do is add a single degree to the kitchen. These veggies are delicious…and my guess is that the veggies are all super cheap in your local grocery store these days! 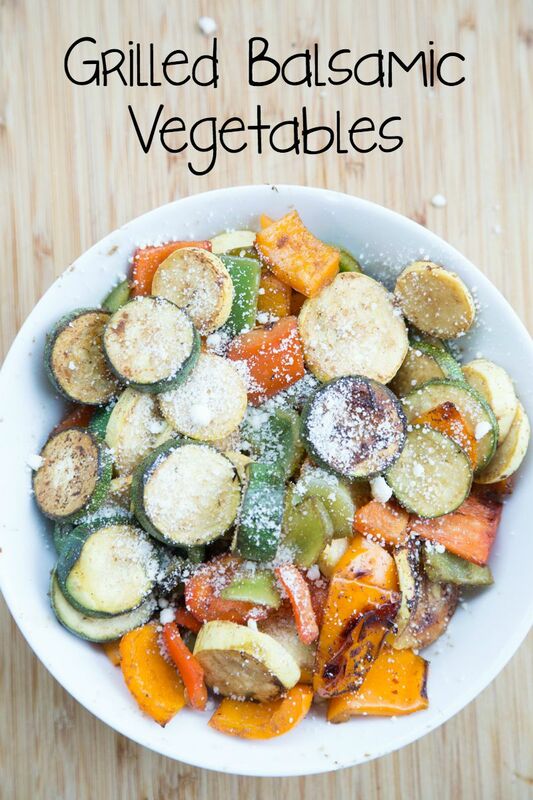 Toss the vegetables together in a large bowl with the balsamic vinegar, olive oil and a little salt and pepper. Let soak for at least an hour, tossing once or twice to coat the veggies. Fire up the grill and then grill in a grill basket (link below). If you don’t have a grill basket, you can add all the veggies to a large piece of foil and fold the rims/edges of the foil up to make a ‘dish’ to grill them all in. Grill for 15 to 20 minutes, or until begin to soften and char. Cooking time may vary depending on heat of the grill and thickness of the squash slices. Once cooked, transfer to serving platter and sprinkle a little Parmesan cheese as a garnish. Serve Grilled Balsamic Vegetables alongside favorite grilled meat.